Does it take a few seconds every time you click the “ADD PART” button on EAGLE? 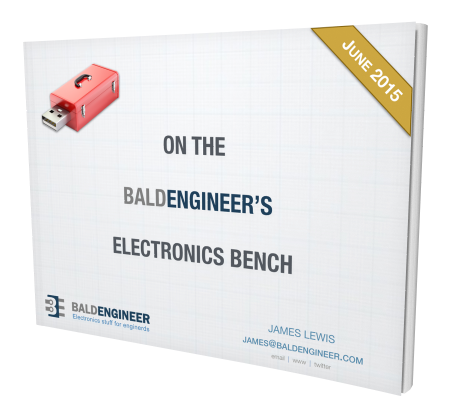 Tired of scrolling through an enormous list of parts just to find a capacitor? 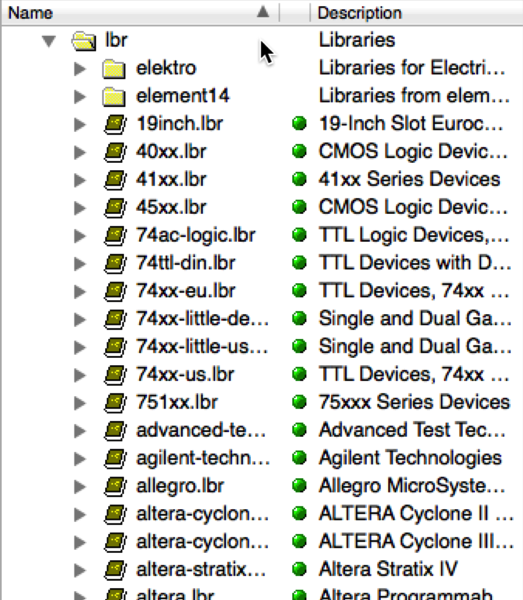 Here’s how you can reduce the parts listing without deleting a single library. In addition to the usual Schematic and Board windows inside of the EAGLE user interface, there is also a “Control Panel” window. This control panel is typically the first dialog you see when you launch EAGLE. Depending on how your directories are set up, your Control Panel may look like mine when everything except “Libraries” is collapsed. You’ll notice in my setup that I have two “lbr” directories. This is because I have setup my preferences to use the default library directory (which varies with your operating system) and a custom directory that I put “user” libraries into. This allows me to upgrade EAGLE without losing things like the Adafruit library. 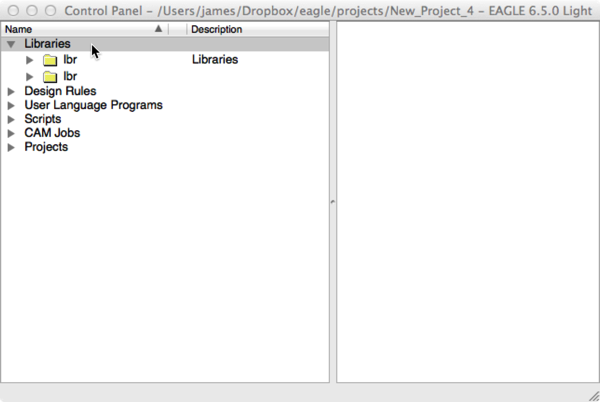 For now let’s open up the default eagle directory which has the description “Libraries”. 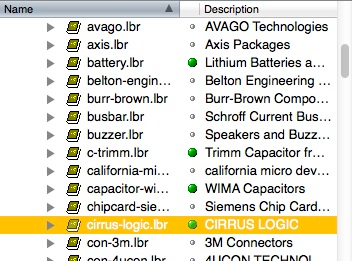 Already we can see there are a TON of libraries included with EAGLE. Pay attention to the green dots listed with each library. If the dot is green, then the library is “enabled.” If it is grey then it won’t be loaded. Let’s start by de-selecting all of the libraries, so you it is easy to selectively enable them. You could start de-selecting one at a time, but that would probably take forever. Turns out there is a HIDDEN SPOT you can right-click. The folder “lbr” is on its own row. Notice the column where there would be a green dot if it were a library, instead of a directory. You can click there! 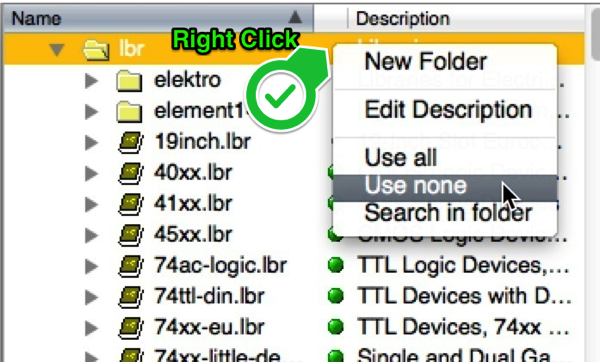 So RIGHT-click in the “dot” column of the lbr row and select “Use none.” Check out this image for where to click. Again, the place to right click is where the green arrow points and the upper left-hand corner of the context dialog is. Once you get that context dialog select “Use none”. This will cause all of the libraries in that folder to de-select. Now you can selectively enable the libraries you want to use in your schematic. Of course you can come back to the control panel while editing your schematic to enable more libraries. You could also use that “hidden right-click” zone to enable all of them. By only selecting the libraries you might need while working on a schematic, you can significantly improve the performance of the “Add Parts” dialog. It’ll load and search faster if only a few libraries are selected. By not deleting them, they’re only one-click away in case you ever need them! If you aren’t familiar with the search function, check out this post which talks about how to search through EAGLE’s part listing. I am using Eagle 7.5 and things seem to behaving a little differently. Before taking any action none of the libraries had the green dot. I take the described steps to “USE NONE” and all the libraries appear when I do an “ADD” in the schematic capture. If I then selectively enable one of the libraries it gets a green dot and TWO COPIES of that library appear in the ADD dialog. Anyone have a solution? Thanks. Sorry I stopped using EAGLE before version 7.0 came out. I don’t even have it on my computer anymore. After their really strange licensing, I gave up and moved to KiCad.